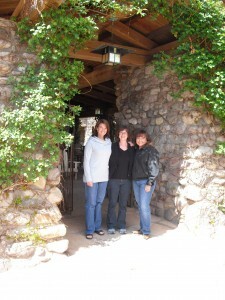 If you are planning a girls’ getaway, think outside the box and head to Sedona, AZ for a truly unforgettable experience. The “Wild West” is no longer the perilous destination that tested the mettle of pioneer women. Sedona offers the best of food, wine, spa treatments, galleries, shops, museums and outdoor adventures, all within one of the most beautiful and inspirational natural settings to “girls” of all ages. Whether it’s a girlfriends’ getaway, mother-daughter retreat, female family reunion – Sedona is idyllic. 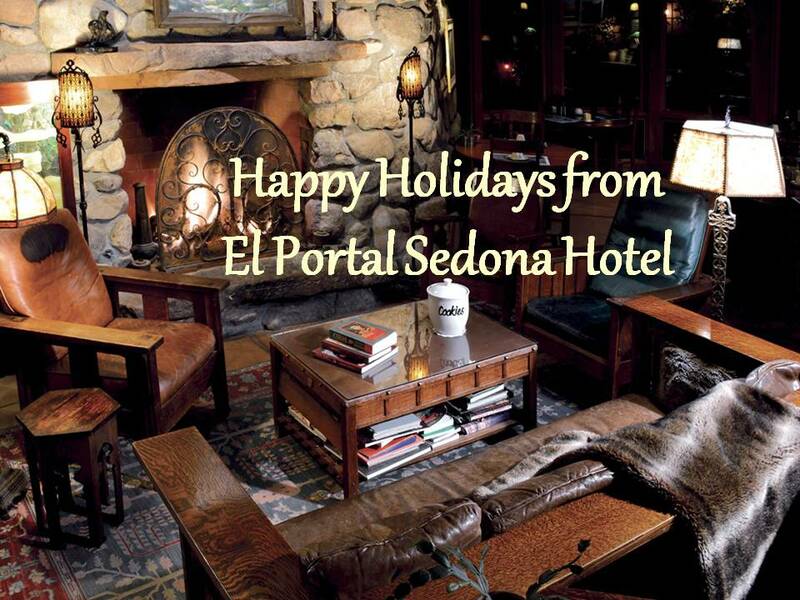 A fantastic home base for a girls’ getaway in Sedona is El Portal Sedona Hotel. This 12 room luxury boutique hotel offers truly personalized concierge services for Sedona and area, spectacular gourmet breakfasts and spacious Sedona accommodations. Guests appreciate the attention to detail in the stunning turn of the century Southwestern design, as well as the fact suites feature all modern amenities. Each guest suite includes a private entrance, patio or balcony, fireplace, whirlpool bath, entertainment center with DVD player, free wireless and more. 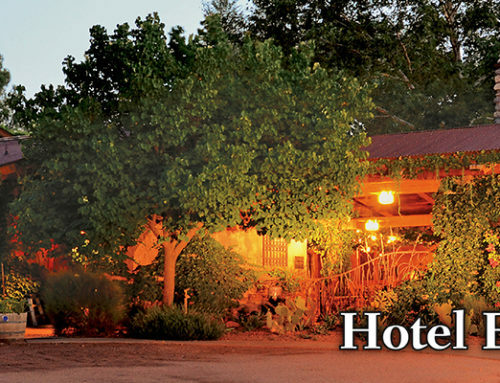 (It is a pet friendly Sedona hotel with never a fee for pets, and offers free pet sitting). After settling in at El Portal, a quick trip into town will introduce girls to an array of shops and galleries, including Sedona Wineworks and The Art of Wine. This wine shop and tasting room features Arizona wines and wine-inspired original artwork, and is open for tasting seven days a week. After sampling some unique wines, head to Tlaquepaque Arts and Crafts Village to browse in the shops and galleries, then relax over dinner at Rene’s or El Rincon, both just steps away from El Portal. After reconnecting over a great meal, make yourself at home back at El Portal with a glass of wine (and complimentary chocolate-chip cookies) around the campfire or on your a private patio or balcony. Sun Country Adventures offers jeep tours of Sedona letting girlfriends connect with the rich landscape in a unique way, exploring seldom seen parts of the area on exhilarating jeep rides. Sun Country tour guides work with visitors to incorporate yoga or Qi Gong, meditation and ceremony if desired on customized hikes. 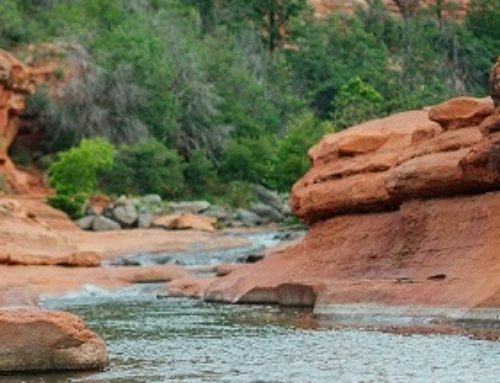 Guests at El Portal Sedona Hotel can arrange full moon hikes, sunset hikes, hikes to high places, exhilarating and challenging hikes, as well as gentle hikes suitable for beginners. El Portal will even pack picnic lunches or arrange cowgirl cookouts. 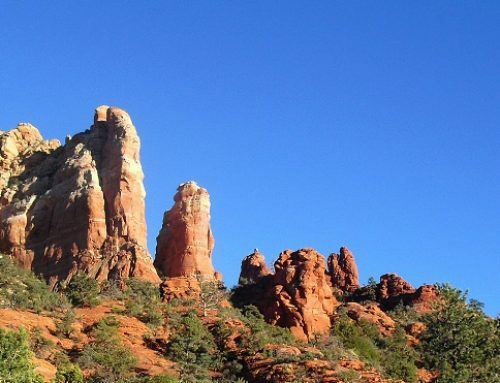 One of the most popular hiking destinations in the area is Sedona’s majestic Red Rock State Park. The park is a 286-acre preserve and environmental education center with breathtaking scenery of red rock and flowing water. 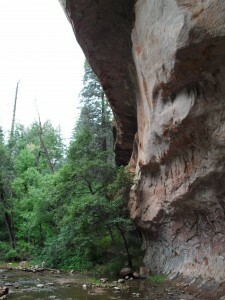 Unusual local rock formations such as Devil’s Bridge, which is considered the largest natural arch in the Sedona area, are great hiking destinations. Devil’s Bridge features dramatic views of the canyons, mountains and red rock cliffs from atop the cracked and fractured sandstone arch. The trail utilizes natural rocks as stairs to the top of the arch, making the trail suitable for hikers of most abilities and a great spot for memorable photos. Of course, no girls’ trip is complete without spa treatments. 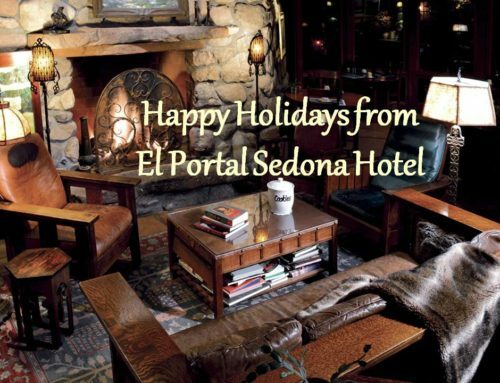 Guests of El Portal Sedona Hotel can walk over to Sedona Spa to indulge in everything from facials to massages and full-body treatments. These are just a few of the activities you can include in a unique and memorable girls’ getaway. Sedona offers biking, golf, musical performances, wine tours, hot air balloon rides and much more. Contact El Portal Sedona for assistance in “rocking” the ideal girls’ trip.